The image above is my attempt to answer these questions. It maps out the six activities that journalists undertake as part of their workflow, in order of value: from scoping a field or subject, through to relaying information to a wider audience, responding to or attending news events, seeking new information and experiences, and investigating. 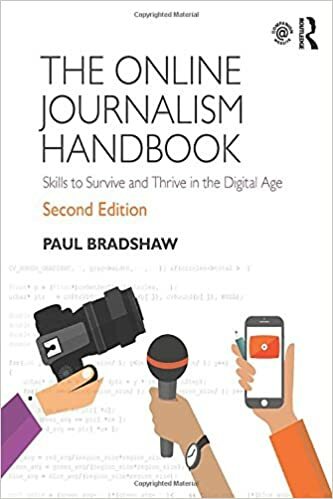 It is designed to help student journalists map out their path as they learn their craft (from the outside in), and to challenge them to make their reporting more varied, more original and more valuable. All these activities have some value. It is easy to say all journalism should be investigative, or that journalists should avoid merely repeating what a press release has said — but we know that neither is possible, and indeed, that simple regular updates can be important in maintaining an audience which can then be introduced to more rigorous reports. Below I’ve described each stage further, along with an explanation of how I’m using it. Scoping is the first activity that any journalist undertakes when moving to a new area, publication, or specialism: it involves identifying what the useful and regular sources of leads are in that field, both organisational and individual: from courts and police to schools, hospitals, politicians and campaigners. Finding those feeds and people is a skill in itself: here’s a guide I wrote on 7 ways to follow a field, for example; and here’s one on finding useful Twitter accounts. I give my students similar tips on finding sources using Snapchat, LinkedIn, Facebook, and elsewhere. Managing the resulting information is also a skill: Twitter and Facebook lists, RSS readers and email alerts are just some approaches (more on that in my previous post). Scoping is also the basis of curation-based journalism: roundups, explainers, backgrounders and how-tos are all based on scoping the material available, and filtering it to the elements which are of most value to your audience. The example from Buzzfeed below shows how it can make a dry subject more engaging. Relaying is the basic journalistic activity of seeing something that is said over there, and reporting it to your audience over here. The traditional source for this is the press release, but as PR activity has moved online, that source is increasingly social media: an organisation’s Facebook page or Twitter account makes an announcement; a celebrity or sports personality publishes something on Instagram or Snapchat, and the journalist reports that to their audience. There is a lot of criticism of this sort of journalism: in 2008 the term ‘churnalism‘ was coined to refer to process of lazily repeating information supplied to the journalist, without any extra newsgathering. Equally, there is often little value in journalism that merely relays information: if fans of a celebrity follow them on social media already, or locals can find their school’s Facebook page online, why would they go to you for that information? For both these reasons, relaying tends to best suit the NIB (News In Brief) format, for factual and uncontroversial information such as announcements. Anything longer should be carefully considered: is it new to your audience? Do you need to seek an alternative voice that might challenge a claim being made, or offer a different perspective? In other words, can you add new information by responding? Responding represents the majority of journalistic activity: not just identifying that something newsworthy has happened, but following it up to find out the necessary information to provide a comprehensive news report. Typically that involves seeking some sort of balance (all relevant voices are heard) and factual basis. Those facts affect two things: what actually happened, when, where, how, why and involving who; and secondly what factual basis exists for what those different voices are saying? Public bodies’ committees and public meetings, e.g. council scrutiny committees, hospital board meetings, school governor meetings, police and crime commissioner meetings, etc. PR events such as press conferences, launches, etc. More in-depth and feature-based journalism, for example, relies on the journalist seeking out a specific source or experience. For a good interview, the journalist might proactively identify and approach someone. That person might have newsworthy expertise, a compelling personal experience, unique knowledge, or be in a position to affect other people’s lives. Some story formats rely on the journalist putting themselves in the story: it might be a “day in the life” of a particular role, or a travelogue, challenge or quest. It might be a colour piece about a newsworthy environment. Whereas relaying, responding and attending are largely reactive, seeking and investigating are more proactive activities. The journalist takes more autonomy in stepping away from the news agenda and, in some cases, can identify stories which are going untold as a result. Answering that question will involve some or all the activities listed above: scoping the subject; attending relevant events; seeking out relevant people; and often relaying and responding to events in the area to establish your reputation in the field along the way. Investigations can affect the news agenda itself, influencing other journalists to respond to the story, attend events sparked by it (such as inquiries or protests), and seek and investigate further themselves. All journalism students are assessed on their newsgathering. What the diagram above shows is how they can make sure that their newsgathering is either good enough (pass standard) or as good as it can be (excellence). In the courses that I teach, I would expect students to be doing more than just scoping and relaying. It is fine to have a few elements of content based on those activities, to demonstrate different production techniques (for example a NIB; a listicle). But if your newsgathering does not go beyond that, then you fail on that criteria. It can be difficult sometimes for students to understand that merely recycling second hand information is not enough. Because, after all, if your own media consumption is limited to that type of content, then you might think that that is what a journalist only does. The distinction is between the content and the journalist. 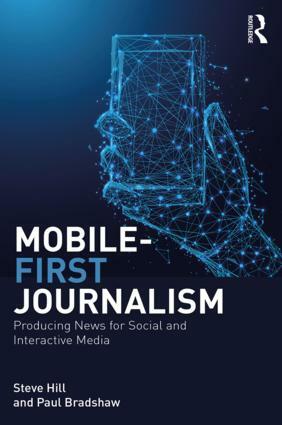 A journalist might create some curated or relayed content, but most journalists are expected to undertake other activities as well, or at least to have the ability to do so in the future. If your portfolio does not show that breadth of newsgathering, then others will get the job. The diagram is also designed to help students identify the types of newsgathering activities that they could also be doing. You might be good at seeking out interviews, but do you attend events? Or vice versa. At the top end could you combine multiple newsgathering activities to investigate something? Obviously reality is more complex than this, and the hierarchy of value is not so fixed: there are wonderful, creative and compelling pieces of curation, and lazy, boring investigating. But that’s not the purpose here. If it’s useful to you, let me know – and if you have anything to add, or objections to raise, please add a comment or tweet me @paulbradshaw. Do journalists use RSS feeds to help them find information? Less so these days, but it still has a role to play.